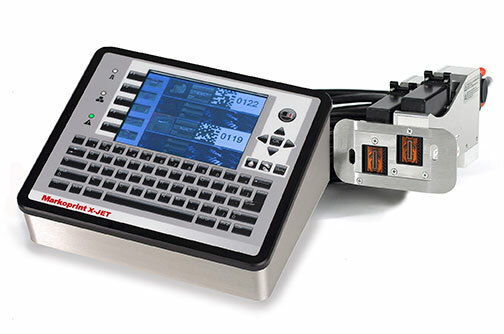 The Weber Markoprint X1/X2 Jet Thermal Ink Jet Coding Systems are high-resolution coders that provide reliable, cleanly-readable text and bar codes on your products. The Markoprint X Jet systems are easy to operate. They use convenient HP ink jet cartridges that make it fast and easy to change ink formulations or add ink. If you need clean, high-resolution text, bar codes or graphics on your labels, then check out the X Jet systems. These systems attach to a Weber label applicator to add date/lot codes as labels are being applied to your products. The ink dries almost immediately (depending on the formnulation) and is durable for most applications. The Markoprint X1 Jet HP Pro is based on the reliable Markoprint line of inkjet systems and is designed for various applications such as food & beverage, chemical, coated/uncoated packaging materials, timber and the pharmaceutical industry. The small compact integrated controller/printer comes in a single unit. This innovative system codes smooth-absorbent and semi-absorbent surfaces - quickly, accurately and reliably. The X1 Jet is easy to use. No training is necessary: printing with the Markoprint X1 Jet HP is simple, due to the 3-logic intuitive operation using the buttons on the top of the X1 shown with LED status lights. Data transmission is loaded and initialized with a USB stick/interface. Markoprint X1 Jet HP uses True Type fonts for printing. All conventional 1- and 2-dimensional codes can be printed. The controller is fully integrated into the print module. The system X1 Jet HP Pro allows data transmission via USB stick. Each controller has a network connection (LAN) and a standard EIA-232 interface. Print layouts are created with included iDesign software. A selection of water- and solvent-based inks are available to work with many applications. Paper, cartons, coated surfaces, foils, plastics etc. are coded permanently, with excellent resolution. 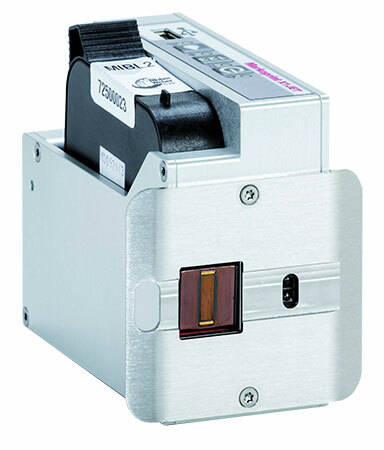 Get ultimate flexibility with our HP cartridge-based ink jet coding systems. 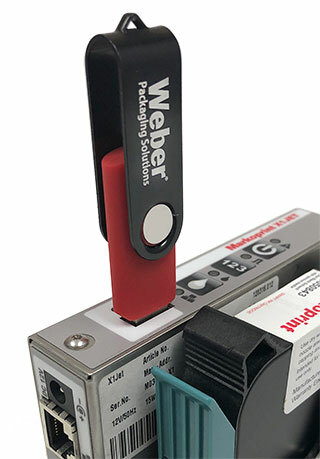 The Weber Markoprint X2 Jet Thermal Ink Jet Coding System is a two-head system that allows printing up to 1-inch of text or bar codes/graphics in either 300 or 600 dpi. The X2 Jet system uses remote controller that has a large 3.5 inches x 4.5 inches TFT display. The easy-to-use prompts allow the fast changeover from one job to the next. The controller can operate the two heads on one line to create a 1-inch tall message, or it can operate the heads individually on two lines printing separate messages. The Markoprint X2 Jet plus is the latest development from the reliable Markoprint line of inkjet systems. 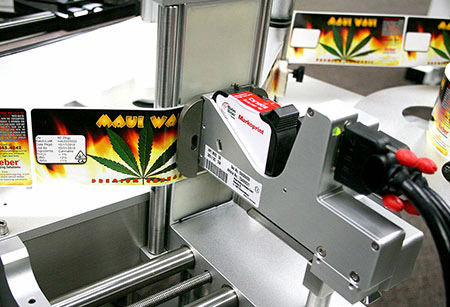 This particularly compact and cost-effective system is suited for use on labels for the foodstuffs, chemical, cannabis, craft beer, building material and pharmaceutical industries. The innovative X2 Jet system marks paper or film label surfaces – fast, accurately and reliably. The intuitively designed user interface renders the X2 Jet plus particularly user-friendly. Animated graphics make user control simple and clear. Simple and reliable data transfer also possible via USB stick. 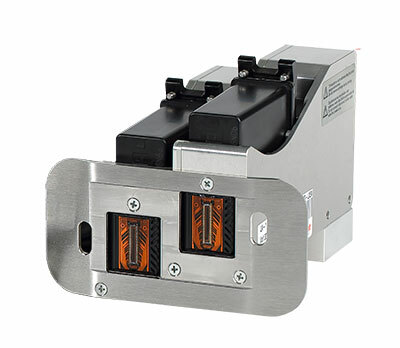 The printer is able to control two printheads for coding on two sides or to simultaneously code products differently on two production lines. Markoprint X2 Jet plus uses all useable True Type fonts. All conventional 1- and 2-dimensional codes may be printed. Data is selected via USB, network connection (LAN) or standard EIA-232 interface. The print layout may be created with iDesign software.